It's time we all stopped whining and learned a thing or two from The Toughest Cyclists Ever. Including: Stephen Roche, whose cure for exhaustion was to go up a gear and fight harder, all the way to the ambulance. Eddy Merckx, who hurt himself so badly in breaking the Hour record that, he estimated, he shortened his career by a year. Beryl Burton, who crushed her (male) rival's morale with the offer of a piece of liquorice, before speeding past to victory. Nicole Cooke and Edwig Van Hooydonck, who rejected dope and became legends. 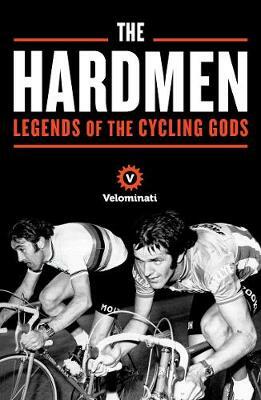 The Hardmen tells the stories - the good bits, anyway - of the 40 most heroic Cyclists ever. Their bravery, their panache and their Perfect Amount of Dumb. It reminds us that suffering on a bike liberates us from our daily lives, and that, in the words of Lance Armstrong "pain is temporary, quitting lasts forever"; proof that even assholes can be insightful.